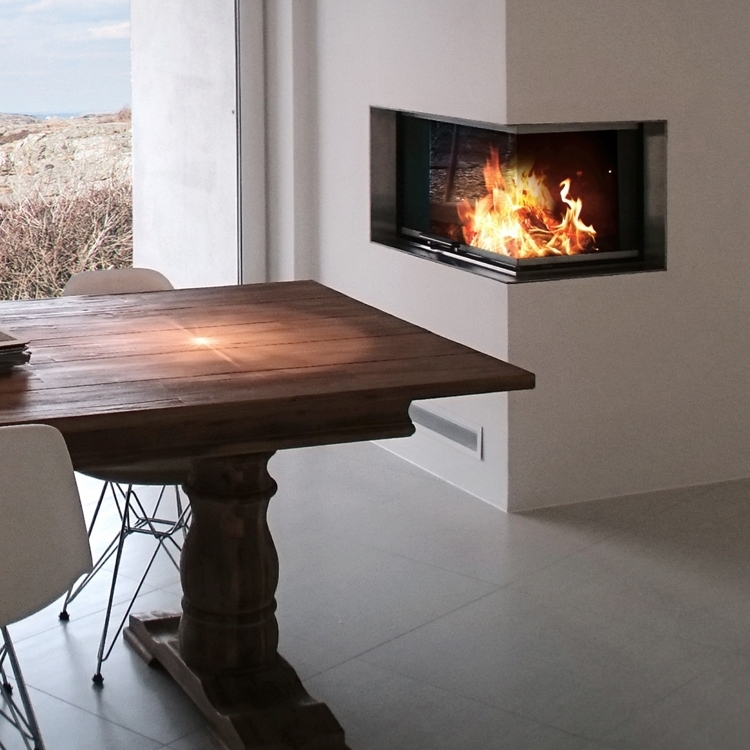 Rais three sided woodburner installed in Cornwall wood burning stove installation from Kernow Fires. 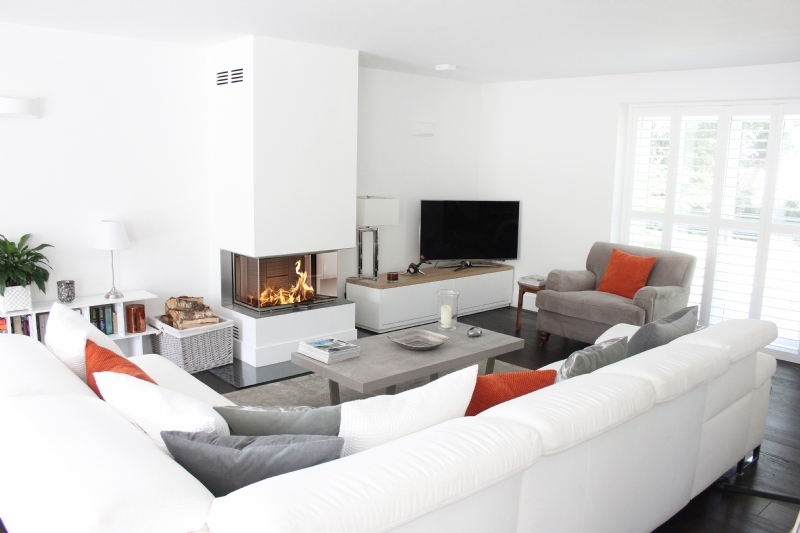 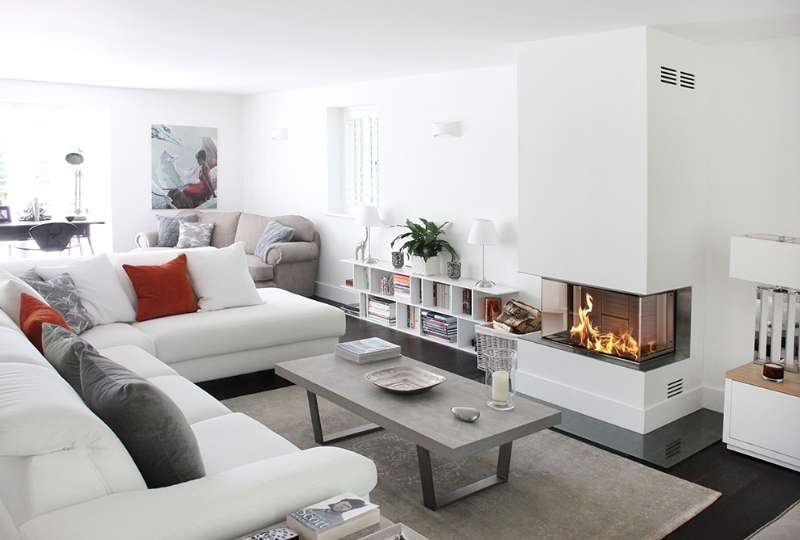 The fireplace is the focal point of the large open plan area which has been carefullt decorated to ensure that when lit the fire creates a warm glow in the mostly white room. 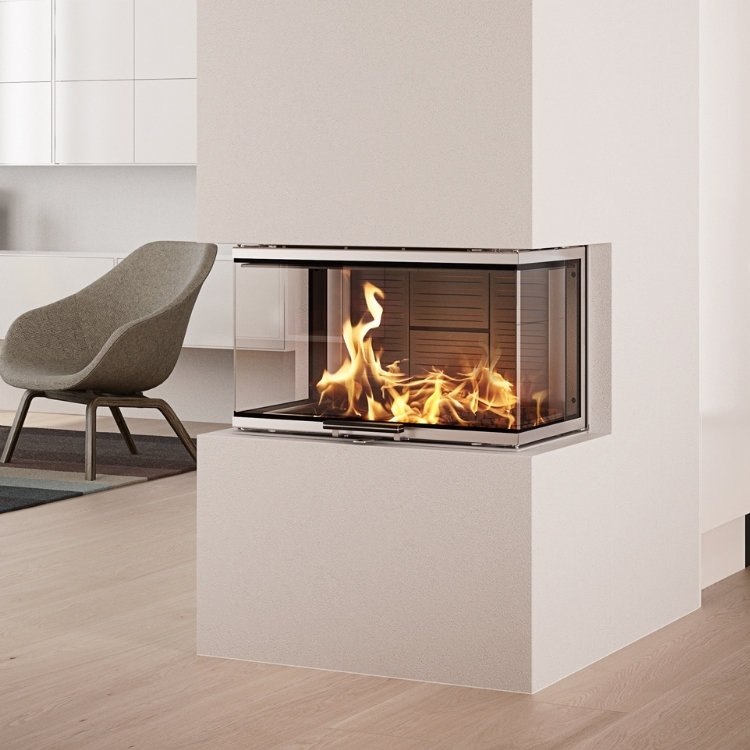 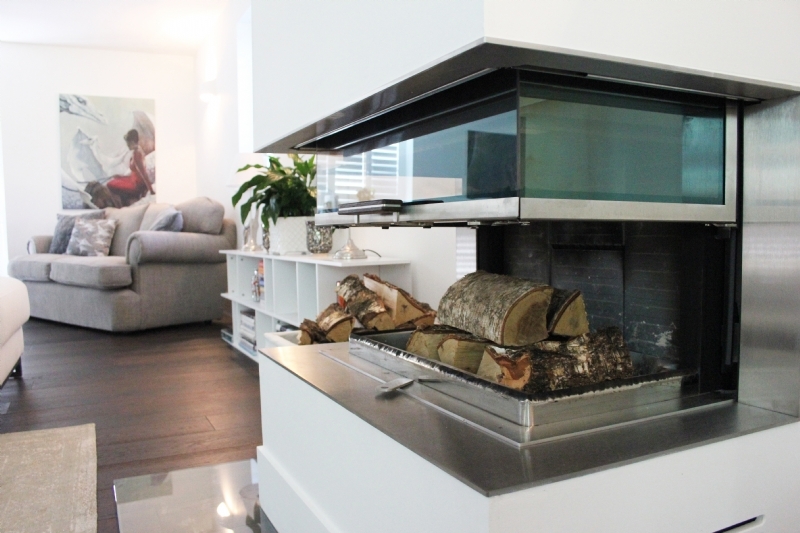 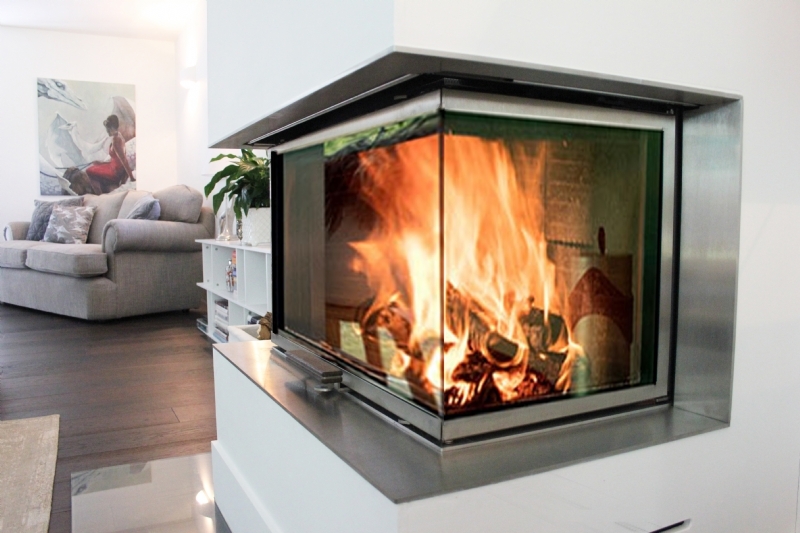 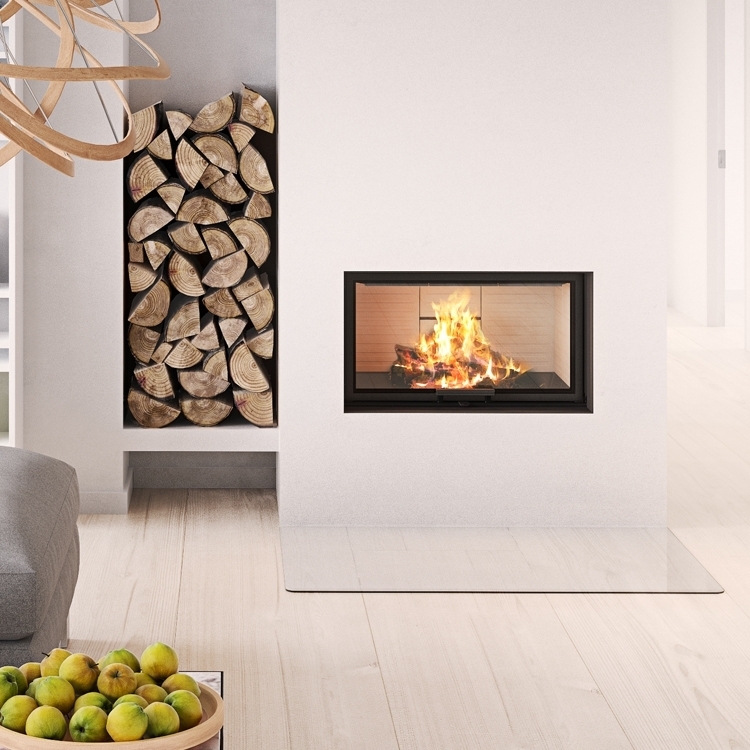 The Rais is the perfect fire for this clean living modern home and with Kernow Fires inset vents, the clean lines are not disrupted.